As 2016 draws to a close, we’re looking back at the most popular window treatment materials we saw over the last year. 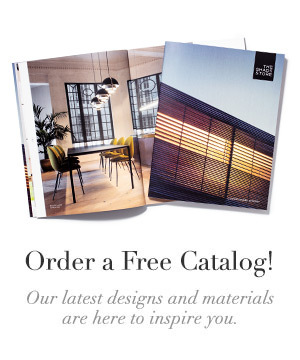 From Roman Shades to Woven Woods to Solar Shades, these materials make for a gorgeous family of neutrals that fit in with a wide variety of styles. Inverted Pleat Drapery and Flat Roman Shades, Basket Sheer in Rain. DC by Design. 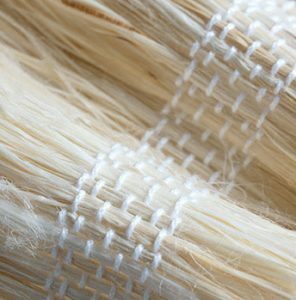 A part of the Linen family for Roman Shades and Drapes, Basket Sheer is a stylish, lightweight weave that hangs beautifully on your windows. 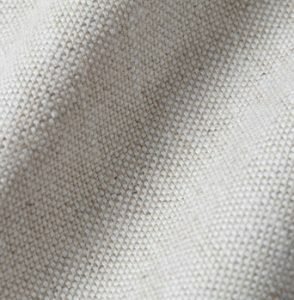 It provides the look of linen with fewer wrinkles. Rain is a lovely gray colorway that seamlessly adapts to the colors around it. When left unlined, like these Roman Shades in our Photo Gallery, it is a light filtering sheer that preserves your window’s view. 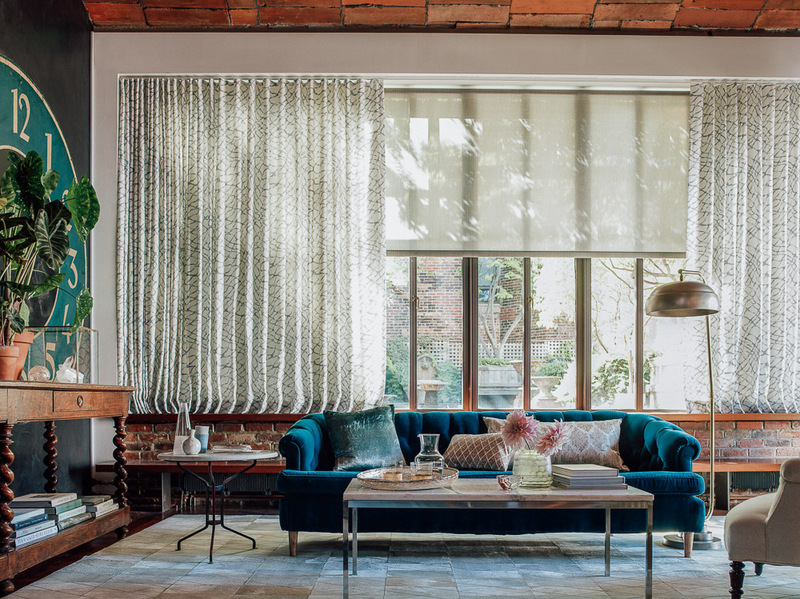 When lined with a privacy lining, as Jen Sergent’s drapes and shades are above, the sheer becomes more substantial and adds privacy and light control. 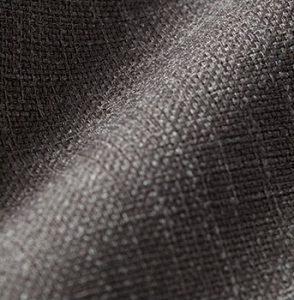 Montauk is a textured weave for Woven Wood Shades that instantly brings a relaxed, casual feel to any room. 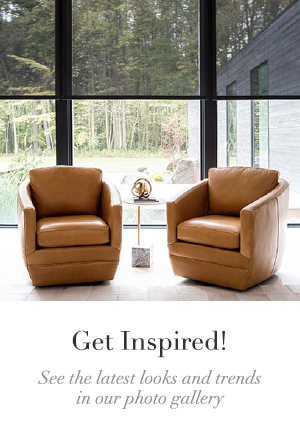 Montauk-1 features a light blond wood with natural variances in the material that creates that earthy, organic look. It blends in with white color schemes, as shown above, or adds a touch of lightness to an otherwise bold or colorful space. As with all of our Woven Wood Shades, Montauk is sourced from low-impact, eco-friendly materials. Linen is irresistible for a lot of reasons – it’s soft, durable, and suitable for any decor. Our Linen is available in 18 different colors from White to Cameo pink to Thistle purple, but Oatmeal is consistently one of our top sellers. This soft tan is versatile and neutral, and contrasts well with grays, browns, and other brighter colors. Linen can lend a breezy feel to your home, but it’s definitely applicable in all seasons and in all climates. 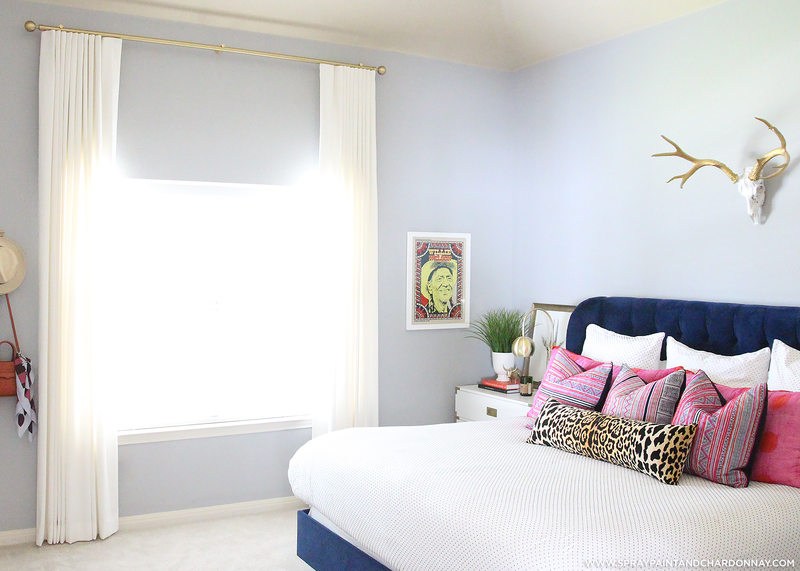 Read more about why we love Linen Shades on the blog. Our 3% Thermo material for Solar Shades and Vertical Blinds reduces glare and blocks 97% of damaging UV rays. 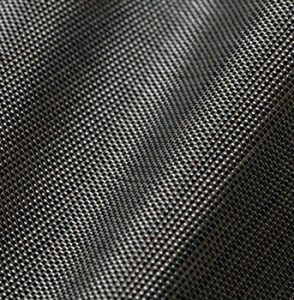 Shown at the top of this post layered with Ripple Fold Drapery, 3% Thermo offers a tighter weave for Solar Shades but still allows sunlight to keep your space bright. Slate has a deep charcoal hue, but looks positively illuminated when backlit with natural light on your windows. If you’re choosing Solar Shades and need help deciding on the transparency, see our blog post on Solar Shade Protection. 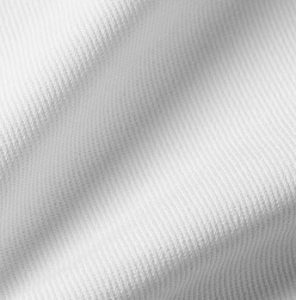 Ripple Fold Drapes, Cotton in White. Spray Paint and Chardonnay. Cool, classic, comfortable – Cotton is the epitome of of effortless style. White Cotton looks good pretty much everywhere, and therefore has the number one top spot in our picks for 2016. 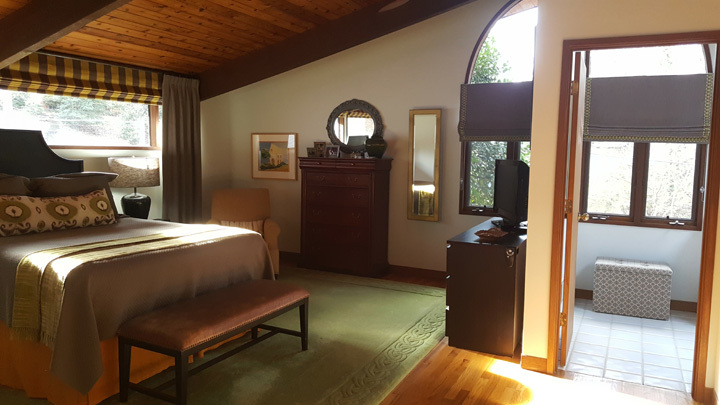 Katie Taylor opted for Ripple Fold Drapes hung high in white Cotton for her bedroom, and they immediately give her room a polished look. Durable and long lasting, Cotton is an excellent choice for every room in the home. It is also very soft to the touch. 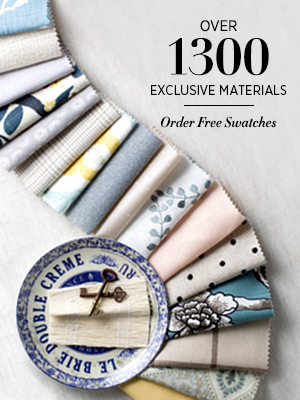 Order some free swatches and see for yourself. We hope these top 5 materials provide some inspiration as you update the window treatments in your home. We can’t wait to see what happens in 2017!